They certainly do add up..... And because of changes to my poker playing I have made chrome status two months in a row for the first time, so my star coins are building very nicely thank you very much. My intention is to make at least chrome again this month... And who knows...maybe even silver! yup thats was i thinking to ,the more u play and deposit the more points but thru and all it would take it to a risk a lot of money ,i think its a bad decision for me instead because everyone of else is aiming for a big chances of winning not of leveling on its account ..
Now the status Silver has no special value any more. One tournament a month and anything more. Very much was cool earlier when once a week there passed a VIP of 30 thousand. On structure and the number of participants - it was the cool tournament. Yes, but the new System was verry good for low stakes Player like me. So it was verry easy to calculate: 1 StarsCoin = 1 Cent. 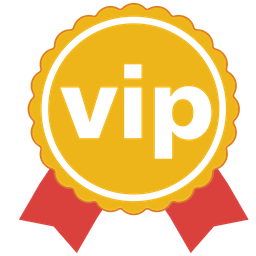 And you can buy any Kind of tickets in the vip shop, so you can get more rakeback if you play some sng´s with solid skills. their reward bonus is the best as far as i know. as gold you get 800 coins for each step. with a extra bonus of 2250 conis at step 15.
im curious how much you get as platinum or supernova?! dont forget about the stellar bonus at end of the year..
Stars reward bonus is by far no the best one.. Platinum you get 4000, but why does that matter? regarding bonus...interesting, i always thought it is one of the best. i might open a new thread. Have to pay a lot more rake to obtain the steps..
i dont start to play holecards which i normaly fold, just because of the rake to get higher in steps, that would be stupid. it shouldnt affect your play at all. i just multitable alot..
i dont quite understand what you man by that ? the coins you earned are yours. Ofc not, but you need for 1 step in silver like 100vpp or something for 1 step? And at platinum you need like 1k vpp. So it doesnt make that much difference, and at the end of the month when you made 50% of the 1kvpp, so youve made basically 2kcoins but if u didnt make it at the end of the month the remaining, you will only get 50% of that 2kcoins so they are ripping you off and the rakeback is actually lower.. I will be SN by the end of the year, I tried to look on some of the benefits you get as a SN, and to be honest was nothing crazy compared to platinum. Yes little bit better for the next year with a bit better rakeback, but thats about it.. I didnt see sny bonus money to make it to SN? but next month ill try my goal platinum - should be doable. SN is to hard to get. i would have to play more + higher limits. if you make it to supernova you get up to $1000 in stellar reward - just not sure if its cash or a pending bonus? i think it was cash?! else...u dont benefit that much for being platinum or SN to my knowledge. just like gold, you can participate in the 100k freeroll. If you are right about it, then the next time you will hit, you will get a nice share of it. And from what i remember you had a few hits on it so far. totally worth it. Good luck. There used to be some "extra value" fpp satellites, now gone, I still would not use them on The Deal just for quality sats that are for a tourney that you were going to play anyway or save and cash for $10. Uugghhh totally hate PokerScammers!! Will never play there again! !